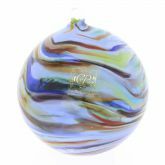 Celebrate Christmas Venetian-style by hanging these gorgeous mouth-blown Murano Glass ornaments on your Christmas Tree. 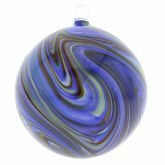 Inspired by the natural mineral Chalcedony featuring swirls of rich colors, these festive handcrafted Venetian glass ornaments were created using ancient Murano Chalcedony technique invented in Murano in the 15th century to create glass objects rivaling the beauty of minerals found in nature. 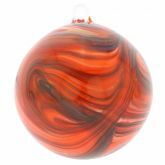 These beautiful Murano Christmas balls in the seasonal shades of red, orange, blue, and green will dress up your Christmas Tree during this Holiday season and will become your family's unique keepsakes for years to come. 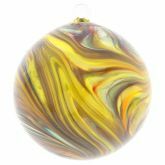 Far from the ordinary Christmas balls, these exquisite Venetian Christmas ornaments were created by the talented Murano masters whose works are displayed in museums and private collections worldwide. 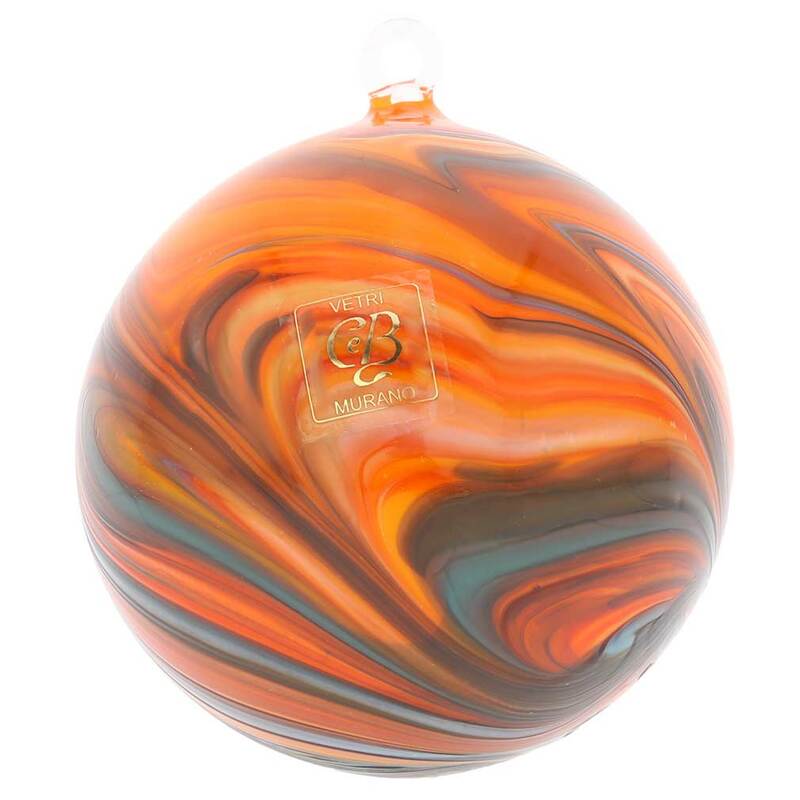 These handcrafted Christmas decorations from Murano island are unique collectible items that also make perfect one-of-a-kind Christmas gifts. 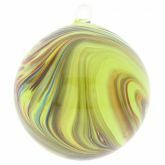 Measurements: This Murano Glass Christmas ornament measures approximately 3 inches in diameter and features attached sticker proving its Murano origin. 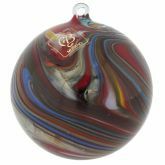 It also comes with the certificate of authenticity. 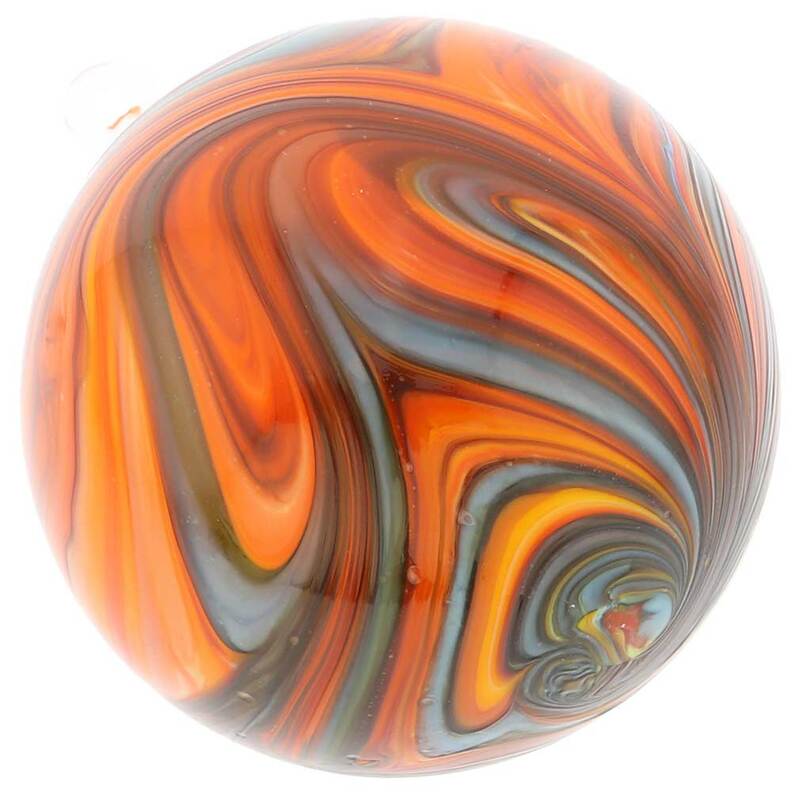 Because each Murano Glass piece is a unique work of art made by hand, some variations of sizes, colors, patterns, and shapes are possible. 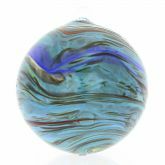 The use of Chalcedony glass-making technique means that no two items are identical and color patterns may vary as represented by the photos. 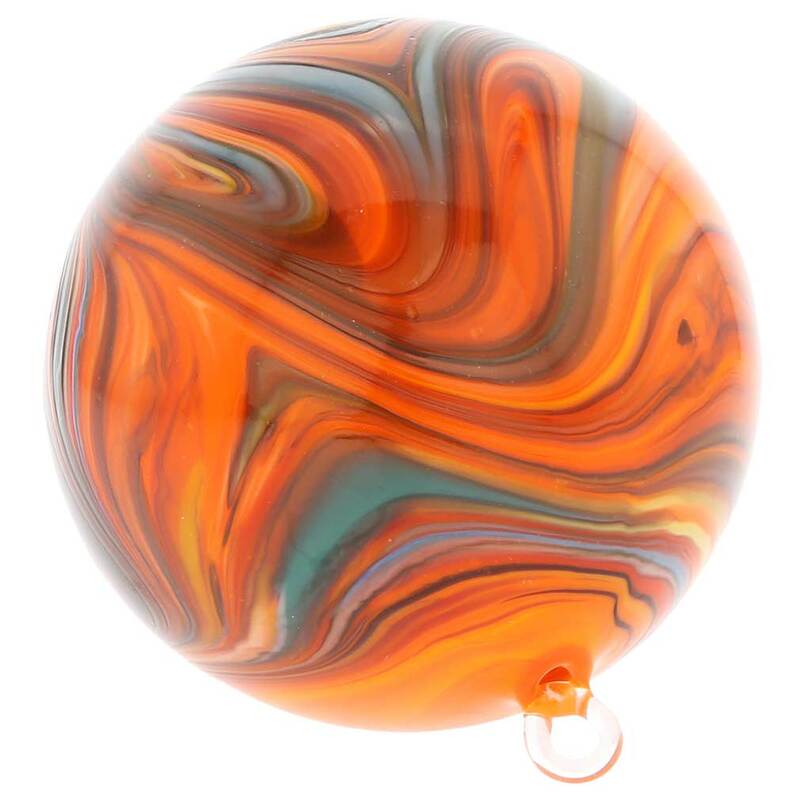 A little blend from fall — beautiful! 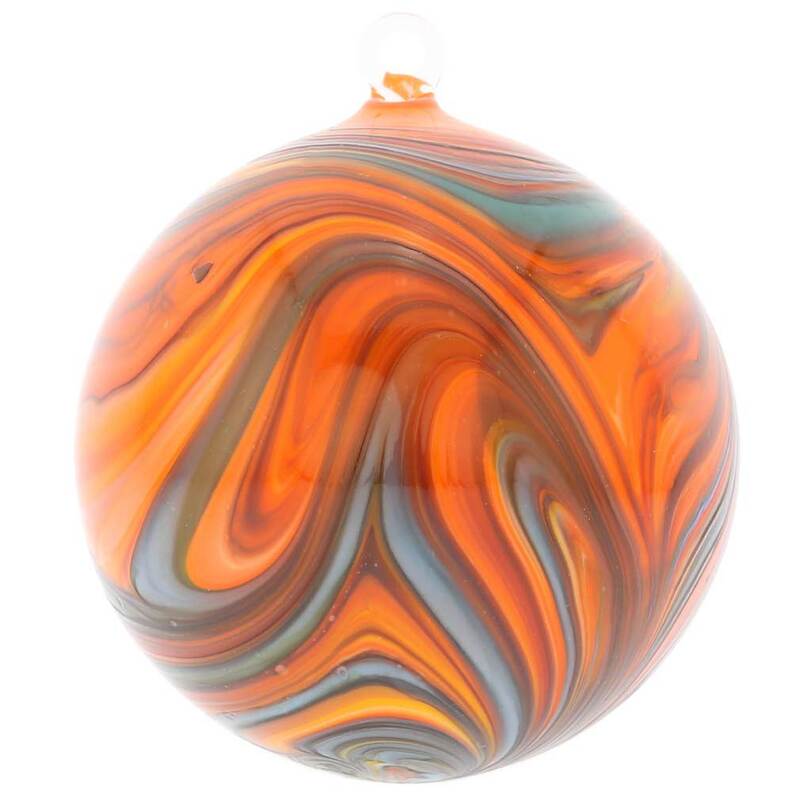 Beautiful colors. 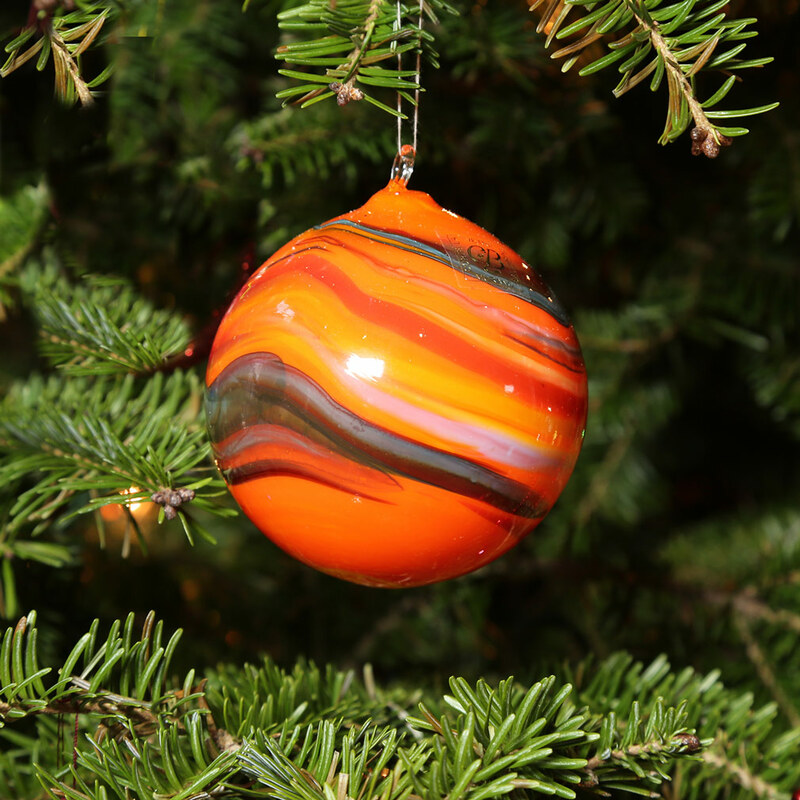 It is the size I expected.